An admin of Silk Road 2, named Brian Farrell, who helped maintain the notorious dark web site by providing customer and technical support, approving and suspending vendors, and promoting staff members, has pleaded guilty and could face 8 years in prison. 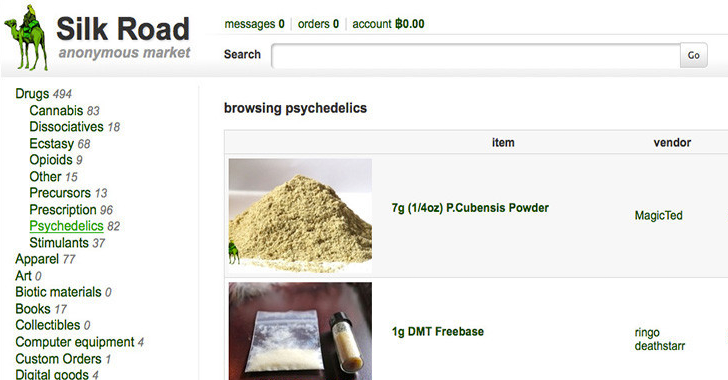 The 28-year-old man, who used the moniker "DoctorClu," had been accused last year of being the right-hand to the creator of Silk Road 2.0, the copycat website inspired by the notorious online illegal drug marketplace. Silk Road 2.0 was shuttered in November 2014 after its creator Blake Benthall aka "Defcon" was arrested whose own criminal case is pending in federal court in New York. Silk Road has been described as "one of the most extensive, sophisticated, and widely-used illegal marketplaces on the internet today." According to the Department of Justice, Silk Road 2.0 had generated "sales of at least approximately $8 Million in the United States currency per month" since it began in November 2013. In a March court filing [PDF], Farrell admitted that not only was he the site administrator, but he also served as "informal spokesman" for Defcon. Farrell also admitted that he led a Denial-of-Service (DoS) attack on Tor Market, a competitor to the Silk Road 2.0. Last month, Farrell pleaded guilty to one count of distribution of cocaine, heroin, and methamphetamine that carries a minimum 5 years sentence in prison and a fine of up to $5,000,000. Although both Farrell's lawyers and prosecutors have agreed to recommend a sentence of 8 years, the judge is allowed to impose a tougher sentence if he chooses, according to the plea agreement. By comparison, Ross Ulbricht, the creator of original Silk Road, was convicted of running the notorious site and sentenced in 2015 to a dual life sentence. Farrell was arrested in Seattle in January 2015. At the same month, when federal agents asked Farrell if he could help them identify other top people involved with Silk Road 2.0, Farrell responded by saying, "You are not going to find much of a bigger fish than me." In February 2016, US District Judge denied Farrell's motion to compel disclosure of the method federal investigators used to find him out. However, later the judge confirmed that Carnegie Mellon University researchers from its Software Engineering Institute were hired by the Federal Bureau of Investigation (FBI) to research breaking into Tor network back in 2014. Though the Tor Project Director Roger Dingledine accused the Feds of paying the CMU, at least, $1 Million to disclose the technique they'd discovered to unmask Tor users, the FBI denied the claims. Farrell is due to be sentenced in federal court in Seattle on June 3, 2016.